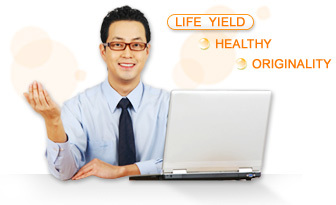 marketing health-care products for LyHo Pharmaceutical and other companies. research, development and registration of health-care products. Bluepharma is a Portuguese capital pharmaceutical company, based in Coimbra. Bluepharma initiated its activity in February 2001, when a group of professionals, connected with the pharmaceutical industry, bought a state-of-the-art industrial unit from the German giant, Bayer. With eyes set on the future, Bluepharma concentrates its efforts on the manufacturing, development and marketing of pharmaceutical drugs. With over 30 years of experience in producing pharmaceutical products, we guarantee standards of the highest quality, based on the know-how of our technical staff, and vision and dynamism of our management team. Bluepharma's location in the city of Coimbra, Portugal – best known for its University, with over 700 years of history, and its excellence in science– represents one of its most significant strategic assets. By establishing partnerships with the most prominent local and international research centers and multinational pharmaceutical companies, Bluepharma faces the future with determination, and with the belief that our clients will continue to trust our services.